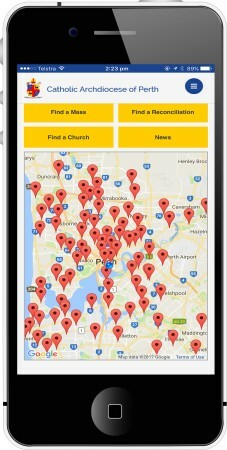 The Archdiocese of Perth has now launched a new mobile App. Available on iOS and Android, the App enables users to find Mass and Reconciliation times across the Archdiocese. Available on iOS and Android, the app enables users to find Mass and Reconciliation times across the Archdiocese. 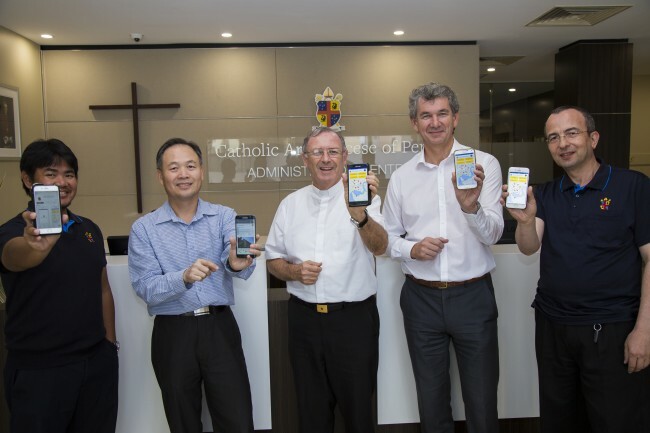 The release of the app is part of the second phase of the 2015 launch of the Archdiocesan website, which aimed to increase its user friendly capabilities. Archdiocesan CEO-Administration, Greg Russo, said the app is one of the first of its kind because it provides information based on the next available service according to time and location. Mr Russo continued by saying that he hopes the new app will better support Catholics across the Archdiocese, as well as those who are visiting, who may be in search of a Church service. “We have sought to move forward from a communications perspective to meet the needs of our Archdiocese, in line with the message of Archbishop Costelloe, of ‘providing practical, concrete steps’ into the future,” Mr Russo said. “The development and release of the app can most certainly aid in enabling users from all around the Archdiocese, in encountering the Good News,” he said. Using the geolocation on their smartphone, users can locate the next available and/or nearest Mass or Reconciliation service by distance and then receive, directions to the nearest Church from their current location. Archdiocesan IT Manager Loc Ha said the aim was to provide users with an app which was user friendly and efficient. 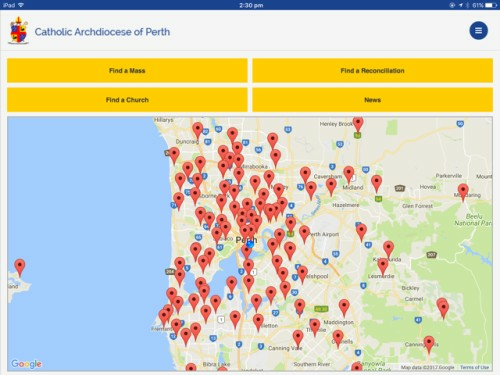 “We hope that the app will assist both parishioners and visitors to our city of Perth, to find the next available Mass quickly, so that they can attend based on time and distance from their current location, or to plan their attendance at Mass at difference locations during their travels within Perth,” he said.